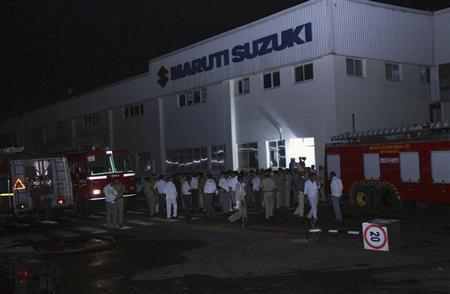 A court in Gurgaon on Friday convicted 31 employees of Maruti Suzuki India Ltd, including 13 on charges of murder, for the violence at the company’s Maneser plant in August 2012. Additional District and Sessions Judge R K Goyal also acquitted 117 MSIL employees. A total of 148 workers were arrested and charged with the murder of senior HR officer Awanish Kumar Dev. The court sentenced 13 employees, holding top posts in MSIL workers’ union, on charges of murder and attempt to murder besides rioting and other related offences. The other 18 were convicted on charges of rioting, trespassing, causing hurt and other related offences under Indian Penal Code sections. The quantum of punishment will be decided on March 18 during the next hearing, defence counsel Rajendra Pathak said. The violence on August 18, 2012 broke out over wage issues when a group of employees allegedly torched a section of MSIL facility which claimed the life of Dev, a resident of South Delhi's Malviya Nagar. A total of 148 workers were arrested and charged with the murder of Dev, a resident of South Delhi's Malviya Nagar. More than 100 other employees, including some foreign nationals, suffered injuries. The district administration imposed CrPC section 144 near the civil court and Industrial Model Township Manesar, prohibiting gathering of more than five people. Assembly of more than five people has also been prohibited in the 500 metres radius of MSIL plant and Gurgaon court. Has Maruti found a solution for its labour woes?